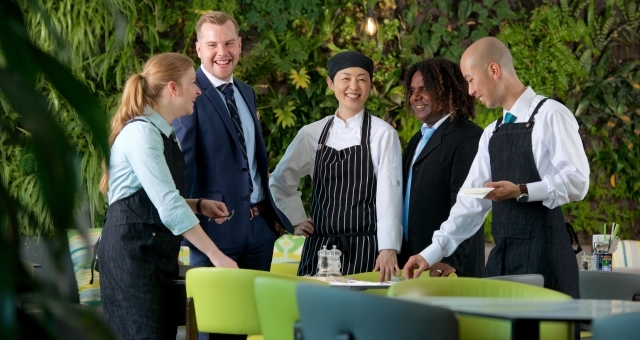 AccorHotels Australia has released its second Corporate Responsibility Report detailing the work the organisation undertook in 2017 to provide positive hospitality experiences for guests and employees through ongoing sustainability and diversity initiatives. AccorHotels is a leader in positive and sustainable hospitality in Australia and this was recognised in 2017 as the group was awarded the prestigious Large Business Sustainability Leadership Banksia Award in recognition of commendable work the group is doing to manage impacts. The Report provides details about the completion of the rollout of the 2016-2020 Planet 21 program. Planet 21 is AccorHotels’ sustainability program which spans six key pillars including People, Guests, Partners, Communities, Buildings and Sustainable Food, with commitments aligned with the United Nation’s Sustainable Development Goals. The Report also details the group’s ongoing work and achievements across inclusion and diversity. For example, Indigenous employees now represent 5.3% of AccorHotels’ workforce across Australia, 36% of General Managers at AccorHotels across the Pacific are female and AccorHotels was the official accommodation partner for the 2018 Sydney Gay and Lesbian Mardi Gras in the 40th year of the event. In 2017, AccorHotels was responsible for the planting and funding of 14,013 trees nationally via Plant for the Planet. This year, AccorHotels enters its 10th year of partnership with Greening Australia. Over the last 10 years, AccorHotels has planted 46,763 trees around the country. Of particular importance was the planting that has been completed in The Great Barrier Reef Catchment area. Further content includes details and results of AccorHotels charitable works. In 2017, $750,000 was raised for the AccorHotels Community Fund, which focuses on building healthy families. In order to achieve this goal, AccorHotels works with charity partners the Garvan Institute of Medical Research, AIME, the Kokoda Youth Foundation and Lifeline. AccorHotels Chief Operating Officer – Pacific, Simon McGrath, said the Group is proud of its leadership in the space and the 2017 Corporate Responsibility Report provides an overview of these commitments and projects. “We are very pleased to release AccorHotels’ 2017 Corporate Responsibility Report, particularly as our first report was so well received by our guests, hotel owners and employees. It takes a lot of commitment to ensure sustainability in all of its facets runs throughout the business and I am very proud of our team as we hit some significant milestones in 2017.